In late January, Nina shared this amazing video of her process of creating the perfect miniature Simply Chocolate. After watching the amazing video, I messaged her to ask her if she’d be interested in doing an interview and being featured here on BlytheLife – she said yes and here it is! Hello Nina! What can you tell us about yourself? Hello, I’m 29, from Chile and I live in Vancouver, Canada since 2011 with my husband and my two Yorkies. I have a background in acting and I’m also nail technician and crafter. Recently I created a YouTube channel to share my works on miniatures and doll related accessories. I like to explore different techniques and use different materials on my projects. I’ve always interested in miniatures and doll related things. For instance, when I was a child I used my dolls as models for doing clothes rather than for playing with them. My Mom is also crafter and dressmaker, so she used to give me her fabrics scraps to make dresses for my dolls while she worked. How did you discover Blythe dolls? My collection is small. I have a Very Vicky (she is my favorite), a Simply Vanilla which I used to make my first custom, a Simply Chocolate, an Ashley’s Secret, 2 Blyth’s, 3 Littlest Pet Shop and my recent creation, the Blythe inspired miniature. How did you start creating miniatures? What was your first miniature? I have always been interested in miniatures. For instance, when I was studying to be a nail artist I used to sculpt very tiny 3D pieces with acrylic to decorate nails and I used to make little charms with polymer clay. When I made my first custom, I created a pair of leather shoes for her. That one was the first miniature accessory for Blythe I did. You shared photos and a video recently about the process of creating a miniature Blythe doll and it has received some amazing response from the Blythe community. Clearly your inspiration was Simply Chocolate, but what was the design process from scratch like for you? I had this idea in my mind for quite a while. I wanted to make something different, unique and challenging. I like to challenge myself, so the idea of creating a miniature Blythe was something I really needed to make. First, I did a search on internet looking for a miniature Blythe smaller than 5 cm height and able to move her eyes and I didn’t find anything like this. Then, I started to work on the eye mechanism and later I began to build the doll, defining the scale and drawing the sketch. Then, I decided to make a video as a making of, showing parts of the process, and sharing it on my channel. I was very surprised and grateful when it was accepted by the community. At the beginning, I didn’t have the idea to sell it, because it is a hard work, with many details, but after the great response from the community I am very excited to create more of my miniatures Blythe for collectors. What challenges did you run into when creating your miniature Simply Chocolate? How did you overcome those challenges? The most difficult part of the process was sculpting the hands because I tried to make them proportional to the body (the hand size is 1.8 mm). I have a lot of patience and I like to work on them when I’m relaxed and inspired, I don’t like to rush. I was also filming the process at the same time so I had to be aware of the focus of my camera while I was working. When I started to feel frustrated I liked to go for a walk or to do other things (take a break) so when I was back I had more inspiration and I could continue working on my project. 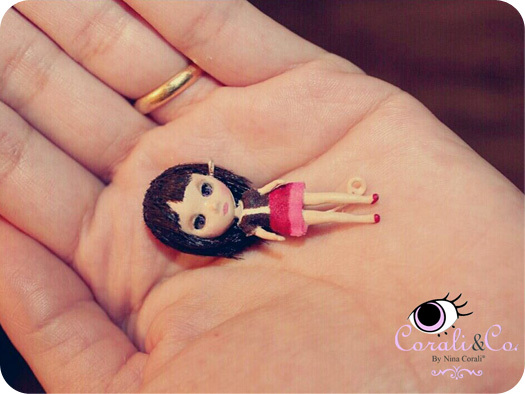 I think it’s very creative that you made a miniature Blythe to scale and with an eye mechanism! Would you make another miniature Blythe? Yes, Now I’m making another miniature inspired Blythe doll, with more details than the first one and she will be on eBay very soon. I think the eye mechanism is a very important characteristic of a Blythe so the miniature should have an eye mechanism to be like a Blythe. What has been your favourite miniature pieces that you have created so far? 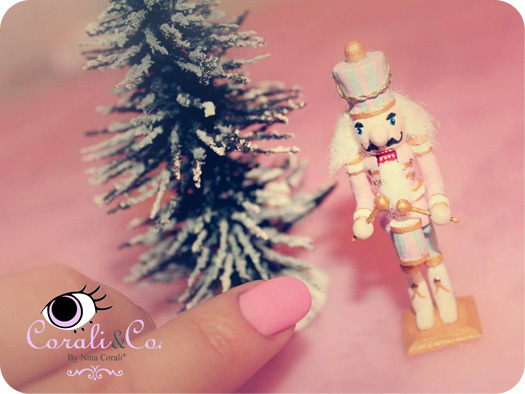 One of my favorites miniatures until now is a wooden Nutcracker that I created as a tutorial on my YouTube Channel for Christmas. I think it looks very realistic because it has a handle to move his mouth as the real ones. I love Nutcrackers and they are my favourite Christmas ornaments. What creative projects might we expect to see from you in the future? I will continue working on my YouTube channel, learning, making miniatures and sharing some techniques, so people can use them as an inspiration to create new things for Blythe. I’m also working on a very special Blythe custom right now. Thank you so much for doing this interview with me, Nina! What advice do you have to share for someone who’s interested in creating their own miniatures? Thank you Michelle, just to say that the world of miniatures is a big world of possibilities; you can create whatever you want (i.e. makes a miniature of everything) and you’ll have a lot of fun. Be patient and be persistent are the clues and keep trying until to get the expected results. Practice makes perfect. You can learn more about Nina and Corali & Co. 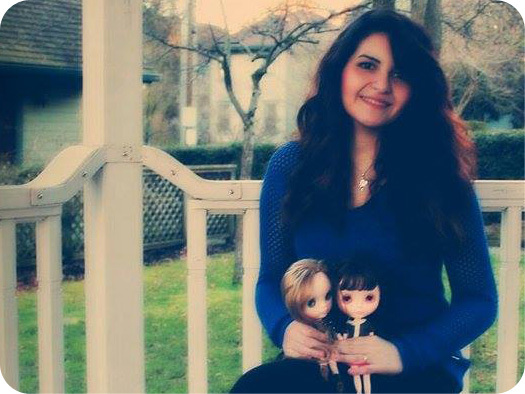 Dolls on: Facebook, YouTube, Instagram, and her blog. Wow! I watched the YouTube video about making mini Blythe and I am amazed! How tiny she is! And she even has real eyelashes! Not to mention her eyes … I also watched the bag tutorial and It’s very interesting. 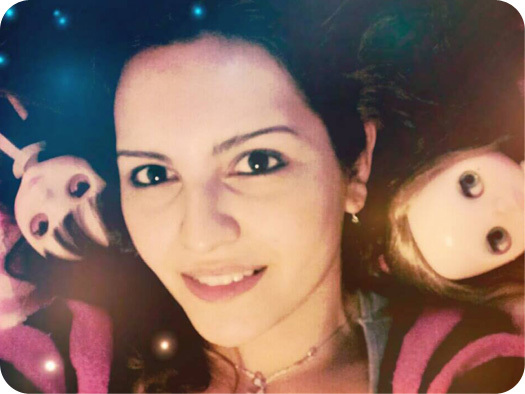 Thank you both – Nina and Michelle for sharing this!